Price in India : Rs. 2,00,000(The cost may vary from city to city). Mileage : Expected to be around 30 Kmpl. However, the mileage may vary from city to city and the way you drive. After the successful launches of the previous versions(R15 and R15 V2.0) of Yamaha, it's the time to release another awesome super version R25(expected to be called as YZF R25) that belongs to Yamaha family. Yamaha R25 will be launched with the displacement of 250 CC , twin cylinder Liquid cooled, DOHC engine and max power of 35+ bph. The expected launch would be on August 2014. The front This upcoming bike has got bigger, smoother and stunning new looks compared to it's previous versions. 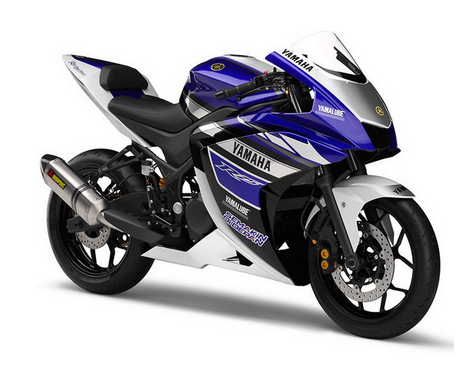 Yamaha R25 has got a strong competition for the other bikes like Ninja 250, CBR 250 and Duke. From these mentioned bikes, what I feel is, there will be a tough competition between Ninja and Yamaha in terms of looks. Both these bikes have sports tail look, beauty of headlights, strong engine power, top speed and much more. However, the mileage may vary from bike to bike. Compared to the previous versions(R15 and R15 version 2.0), the new version will be soon hitting the roads in India with the expected top speed of 195 KMPH. The mileage of this bike has not been updated yet. It will be soon updated after the launch of the bike. Below are the basic and important specifications about Yamaha R25.